Get ready for another exciting youth oriented event this February as Informatics Computer Institute announces their first upcoming event; Tech Fair 2019! Read all about this exciting event after the break! Are you ready to show everybody your crafting and character acting skills? 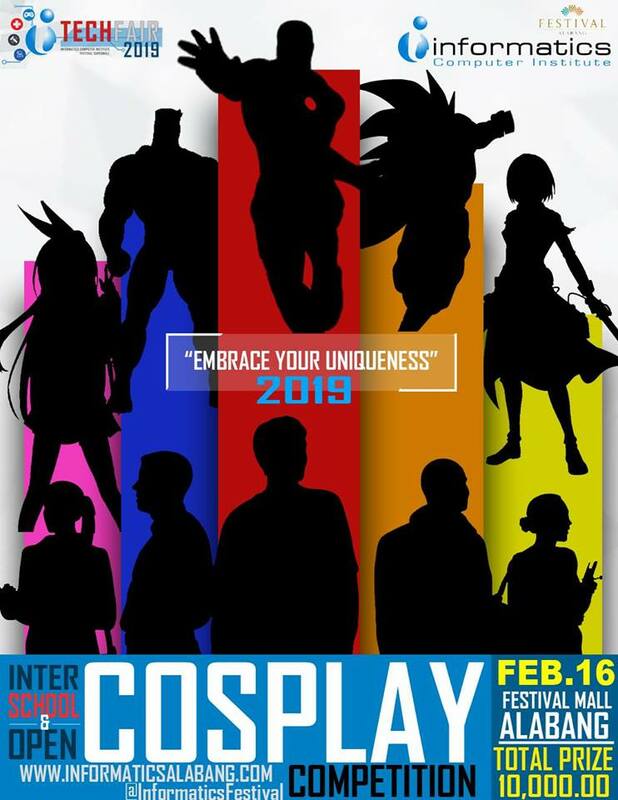 Then come join the interschool and open category cosplay contest with pinoy master propmakers Benigno De Jesus a.k.a. Kamen Rider Nimoy and John Amuro Rey of Webrangers as judges who will also show you the way of crafting the best props and costumes. 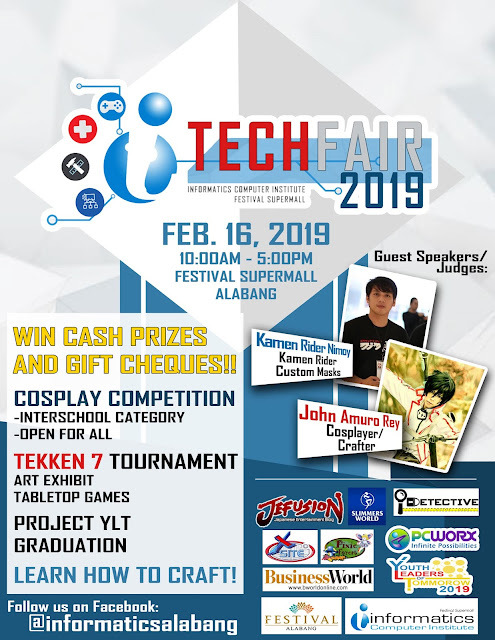 Then prepare to go head to head with some of the best pinoy Tekken players in the Tekken 7 tournament and win great prizes and be the one who is on top of the iron fist mountain! We are also happy to announce that team JEFusion will be there to cover the action and excitement! Plus, check-out the most awesome booths and exhibits courtesy of the finest Informatics students and other exhibitors for the event. The event is scheduled to be held this February 16, 2019 at the Festival Supermall, Commerce Avenue Filinvest Corporate City, Alabang, Muntinlupa, Metro Manila. For more information about the event and contest registration, visit the event's official page or contact Mr. RJ Dimla. See you there, everybody!